Isn't this reindeer just adorable? It's another in a series of digital images created by Aisne's Creations at DigiScrap Station. Each one is just beautiful. Don't you just love Halloween with all the little trick or treaters visting. We don't get too many, but with it being a Saturday this year, we are hoping for more than usual. 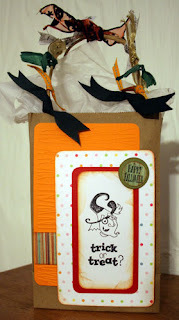 So I've been creating Halloween goodie bags - so much fun and so easy to do. Cosmo Cricket pattern paper and something else! It's Wednesday. 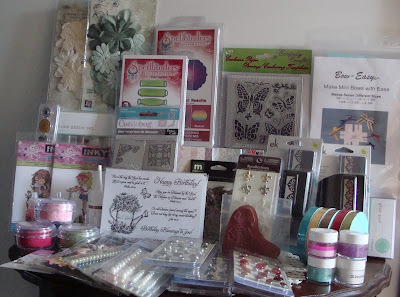 Time again for another Queen Kat blog hop. So grab a cup of coffee and check out everyone's awesome work. I hope you got here from Nancy's awesome blog. If not, just start at the top of this list and view each blog. 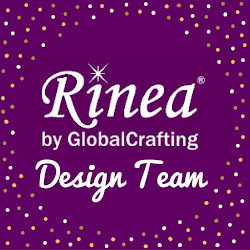 You are going to find some awesome creations. 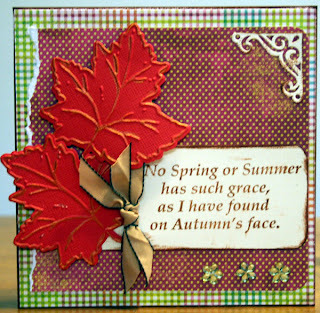 Today's challenge From Queen Kat was to interpret the design as shown on her blog. There was so much to choose from, but ultimately I decided on the coffee cup and the rich colors. Cutting the coffee cups with my Cricut, I had the perfect Queen Kat stamp to use. Then I added a little bling - a girl's gotta have bling!!!!! 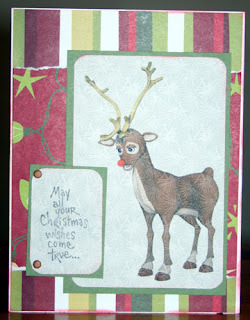 I love reindeer and Aisne has created a wide assortment of digital reindeer to use for holiday projects. I created this layout about my friend's granddaughter for Creative Express. My assignment was to use this great Imaginisce product line and Life is a Beach cartridge. And, can't forget my Cuttlebug folders!! I just love the bikini border cut, so I just had to add a little bling to it. Just wanted to share another Cricut layout. This time I used A Child's Life cartridge. The letters (including the scalloped oval), the pumpkins and the leaves were all cut from this cartridge. 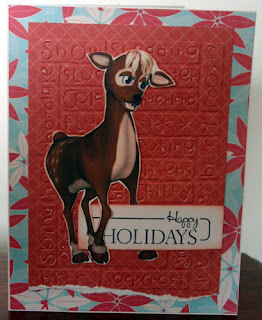 You know by now that I love embossing, so I used Cuttlebug embossing folders. Welcome to another edition of Queen Kat's Royal Wednesday blog hop. I hope you got here from Sara's lovely blog. If not, just start at the top of this list and view each blog. You are sure to be inspired. Today's challenge From Queen Kat was to use black, orange, purple and white. 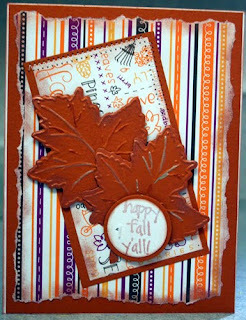 These are perfect fall colors so I created this fall card. And don't forget the sales at the store! Thanksgiving dragons. Aren't they adorable???? Queen Kat Designs has a new stamp designer, Melia Newman. Melia has created this adorable Thanksgiving dragon and a Christmas dragon. You have got to go see what the team has created with these stamps. Check out the QKD blog and the Queen Kat Designs Store for some fantastic sales this week. 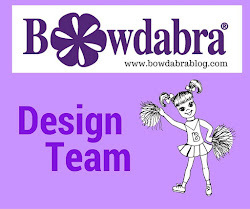 While at the blog, check out the mini blog hop going on. You are sure to be delighted. Nothing quite says fall like pumpkins. One of the local churches had tons of pumpkins and I couldn't resist taking a photo. 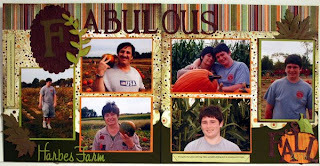 Most of the farm here have closed, so photo ops are a little scarce!! And since it was such a beautiful day (cold but crisp), it's perfect dog walking days. Paulie loves being out in this weather. 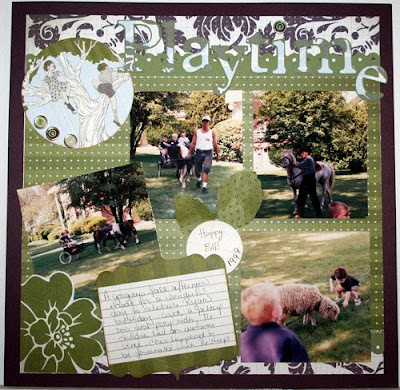 Woohoo, I am a new designer at Scrappin' Sports Stuff (www.ScrappinStuff.com) and am so excited. They have some fabulous sports papers and embellishments for the sports enthusiast. I would just like to thank Kathy for selecting me as part of the team!! 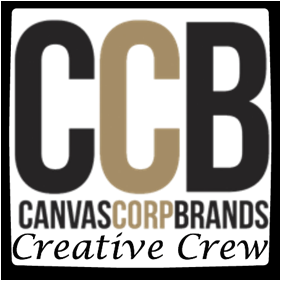 Check out this eye candy on Twinkles aka Chris Olsen's blog. It's fantastic. Happy Birthday Chris (http://twinklesglow-glowbug.blogspot.com). Welcome to another edition of Queen Kat Royal Wednesday blog hop. This is my first blog hop and I am truly excited to participate. I hope you got here from Sara's amazing blog. If not, just begin at the top of the list and go from there. This week's challenge was to use a sketch created by Queen Kat herself. And this is my interpretation. 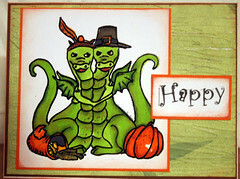 In keeping with the upcoming Halloween season, here's a card to get you in the spirit. Well, I did it! I got hooked on Copic Ciao Markers. Didn't want to do it, but I fell hard. I've been taking a monthly class on using these markers and I must say, with practice, I can definitely see the difference in my work. This is my FIRST completed card and I love it. I wasn't too sure last night, but when I looked this morning, I was fine with it. 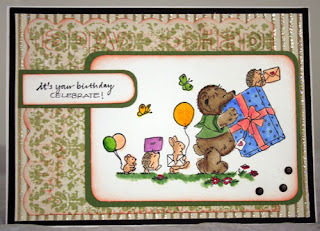 Of course, I just had to use my Happy Birthday Cuttlebug embossing folder (can't live without them) along with some Making Memories pattern paper. Yesterday was my first "official" blog post on Queen Kat's blog. I don't have too many stamps YET, but I am pleased with how my card turned out. 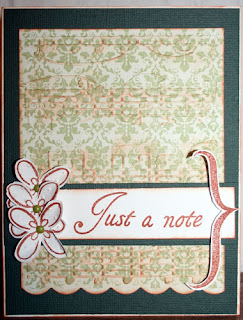 I stamped with Ranger Ginger ink and then cut out the flowers and the bracket. 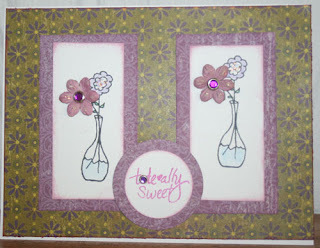 I used the Cuttlebug Swiss Dots embossing folder on the flowers for some added dimension and the Allegro embossing folder with a touch of ink on some Making Memories pattern paper. I then assembled the card onto some Bazzill cardstock. 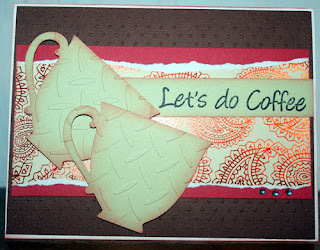 A perfect, quick and easy card for a friend. I just love this line of paper and since Marks Paper Company is holding a contest, I thought I'd post this. 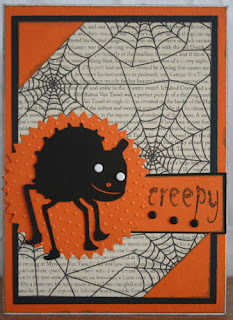 The challenge was to use 75% Marks papers and create a fall or halloween layout. I found these photos from a birthday party my son attended in 1999 and created a layout with their English Garden Collection. I have something really exciting to share. I just got some amazing news, but I'm not ready to post it yet - Just know that it's HUGE!!!! I hope to post about it very soon.